This ensemble is patterned after existing garments from the 1880s. 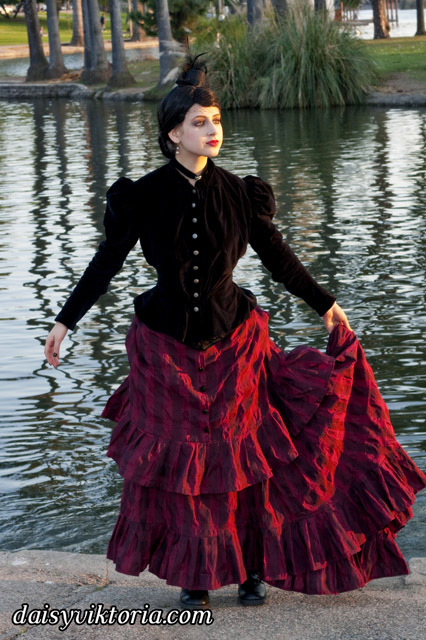 The bustle skirt and belt are made of matching fabric, and the jacket is velvet lined in linen. The corset is made of black satin and lace and fully supported with steel boning. Wearing the corset alone as in some photos is not period, but I also love a good period-inspired gothic look.